As reptiles, alligators are cold-blooded and need the heat of their surroundings for their body warmth. Fortunately, alligators are found in tropical and subtropical habitats so it is not uncommon for them to experience freezing temperatures. Weather patterns in recent years, however, have gone awry and occasionally, a cold snap hits a normally balmy region. When this happens, alligators have to fall back on a little-known Plan B called “brumation”. Although it is easy to call brumation a type of hibernation, the two processes are different. Hibernation is a process in which some mammals, such as bears and groundhogs, enter a state of dormancy or inactivity for an extended period of time, typically all winter, with only short moments of wakefulness and activity. Hibernation is triggered in these animals by a combination of both cold external temperatures and diminishing sunlight. Brumation is a process in which cold-blooded reptiles, like snakes, lizards, and alligators, slow down their heart rate and metabolism during cold temperature. Brumation is not a true hibernation state, but more of a state of inactivity and sluggishness that lasts until the temperature warms up. Biologists were recently able to witness brumation in alligators in person. A few weeks ago, the temperatures in Ocean Isle Beach, North Carolina, dipped below freezing, which is unusual for this area. As many as 18 of the alligators in a 65-acre animal sanctuary called The Swamp Park were observed by park manager in a motionless state with their snouts sticking out of the frozen water. The alligators seem to know that the temperatures are dropping to the freezing point and that they need to take certain steps to survive. The reptiles submerge themselves in the water with only their noses above the surface, providing them the air they need to weather the cold snap. Other alligators in the sanctuary may have spent their brumation time under the water. 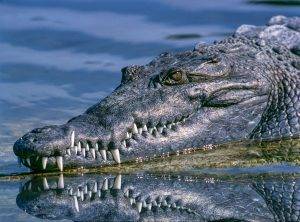 Alligators can survive more than 24 hours beneath the water. In a very real sense, these alligators are allowing themselves to be frozen, trusting that they will be back to normal soon. Their heart rate, breathing, digestion, and metabolism all drastically slow while the alligators wait for warmer temperatures. When the temperatures in the region warm up, the alligators emerge from the state of brumation. They show no ill effects from their time in the chilly, freezing water, although some researchers state that prolonged brumation can have a negative impact on the animals. The eighteen alligators of Ocean Isle Beach didn’t have to wait too long to come out of their brumation. The temperatures in the area warmed up enough after a few days for the heart rate, metabolism, and activity of the alligators to return to their normal function. The cold snap and the brumation allowed scientists and researchers to witness this unique survival adaptation for themselves. Hanson, Hilary. 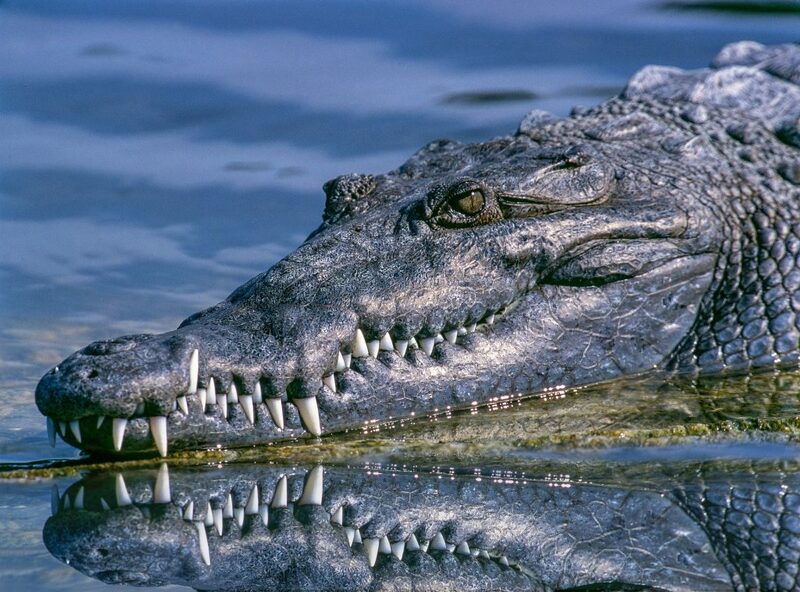 “’Frozen’ Alligators Ride Out Frigid Temperatures Beneath the Ice.” The Huffington Post. 26 Jan 2019. Web. 26 Jan 2019. O’Kane, Caitlin. “Alligators Freeze in North Carolina Swamp with Noses Above the Ice.” CBS News, CBS Interactive. 25 Jan. 2019. Web. 27 Jan. 2019.